Singapore shoe-slingers Limited EDT are finishing up their six-year Made-In-England run with New Balance with this commemorative, collaborative boxed set of the M577LEV sneakers. Housed within each of the numbered limited edition boxes (of only 240 in all) are the blue-and-orange sneakers, with uppers made from nubuck leather and 3M reflective panels. The set also includes an issue of Sneaker Freaker Number 31, which features this footwear on its cover, as well as a t-shirt. 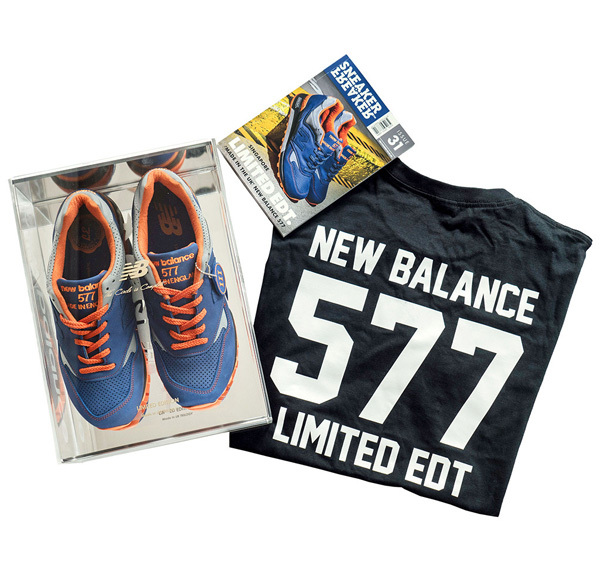 Order your Limited Edt x New Balance M577LEV III Box Set, online and overseas only, this Friday, October 10th, with a real release date on October 25th.